As I write this article I am recovering from my second round of serious colon surgery in the last six months. At three score and ten years of age, this is really the first time I have had significant surgery that requires an extensive recovery period. I must admit that I am surprised that the physical recovery has been much more difficult than I anticipated. But that is not the real surprise. No, not at all. Instead, I am surprised at how I have let circumstances consume so much of my spiritual journey over the past fourteen days. I went into this round of surgery with a strong faith and a peace that all was going to be well. I still have that faith and peace, but I was not prepared for how the pain, the severe lack of sleep and the constant disruption of my “normal” body functions would so affect my relationship with my Heavenly Father. During the height of the difficulty my dear wife pointed out that she was surprised to see me with such a negative attitude. She reminded me of the series of Sunday School lessons that I had taught to the young married class on the proper “attitude” for a Christian in various situations. My wife nailed me with that reminder and I began to deal with the pain from a different perspective. As I prayed about the situation I was prompted to revisit some of the devotional material I sometimes read. Romans 11:33-36 – 33 O the depth of the riches both of the wisdom and knowledge of God! how unsearchable are his judgments, and his ways past finding out! 34 For who hath known the mind of the Lord? or who hath been his counsellor? 35 Or who hath first given to him, and it shall be recompensed unto him again? 36 For of him, and through him, and to him, are all things: to whom be glory for ever. Amen. 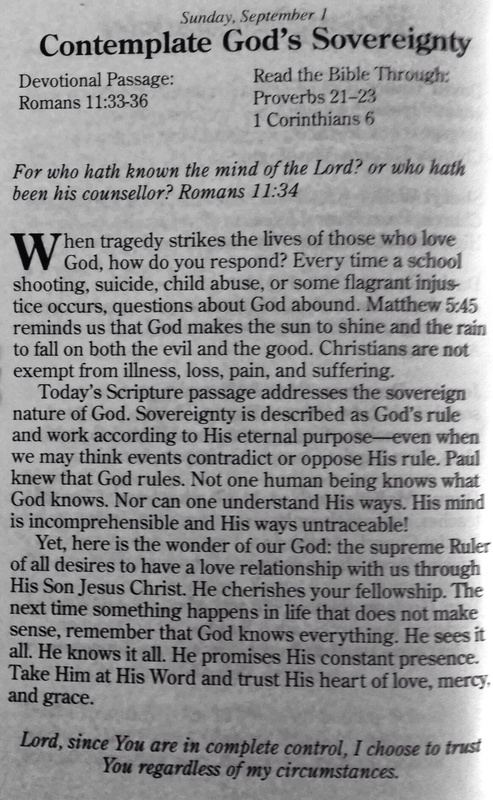 While Ronnie Floyd’s article deals more specifically with tragic situations such as school shootings, suicide, child abuse, etc., I believe the scriptures also are applicable to my personal situation. God is in control of ALL circumstances. And as a reminder, ALL means ALL and that is ALL that ALL can mean. So as far as I am concerned, God is Sovereign and my situation is small indeed. With His constant presence I am praying along with Ronnie Floyd, “Lord since you are in complete control, I choose to trust You regardless of my circumstances.” Choosing is an option. Having a proper attitude has everything to do with making good choices. Thank you Lord for such a perceptive partner! How about you? Are you going through seemingly uncontrollable circumstances? Perhaps identification with my experience will help you to trust God regardless of the circumstances. 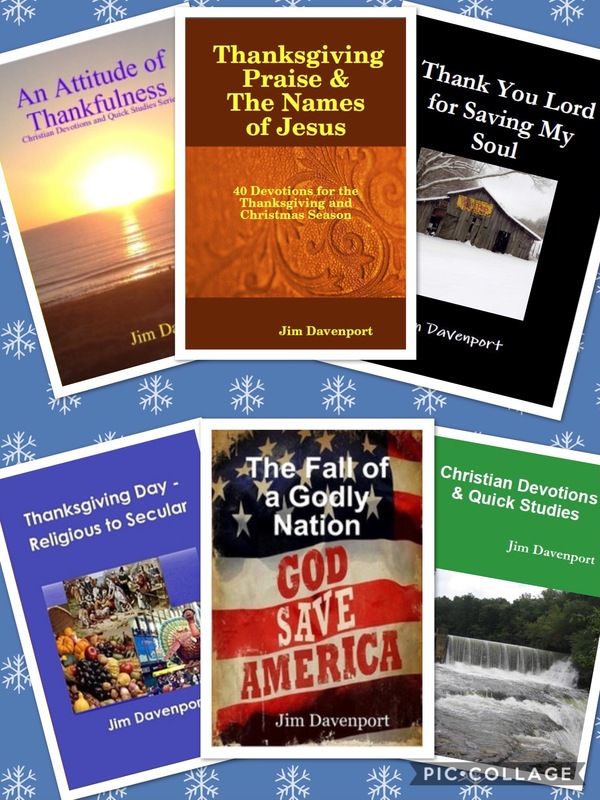 Jim’s My Opinion Articles – Conservative opinion on current and controversial topics – Note: These articles are editorials and are not faith based. Obama’s Executive Orders – Why Does It Matter? Is Obama’s Muslim Heritage to Blame? Obama on ObamaCare – A Monumental Achievement? Obama – Tzar of the Imperial U.S.? Gallery | This entry was posted in Bible Studies, Christian Devotions, Uncategorized and tagged All means all and that is all that all can mean, Almighty God, Bible, bible studies, Christian, christian devotions, Christian living, colon surgery, dealing with illness, dealing with tradegy, God cares, God knows, God provides, LifeWay, live by faith, Lord, recovering from surgery, Romans 11, Ronnie Floyd, Soverneignty, tough circumstances, tragedy. Bookmark the permalink. Feeling better today. Your additional insight is much appreciated!